I’m very aware of my Type “A” personality quirks and they are ever so evident when it comes to making lists. To-do lists are quite common, but I really like to take things to the next level. I have my regular to-do list, I have my planner, and then I have my future goals to-do list, my life long goals to do list, my daily or continual to do list, and then finally my spread love and sunshine list. These are my normal lists, let’s not get into my lists when the Christmas season comes. The hard part of all these list is that I have this great need to cross things off my list constantly otherwise I feel a little crazy :-\. The truth is that at times I’m more consumed with crossing things off then what is necessary. If I happen to be unable to complete a task I will cross it off and write on a new day in my planner. In a regular to do list that isn’t possible (Thankfully). The lists ultimately reveal more about myself then just being organized. The lists give me a visual sense of what I have accomplished, but they are a double edged sword! I have many positives that are attributed to them, and they help keep me focus and ensure that I’m at an optimal level of productivity. They also are great distractions from emotions and feeling (which is both good and bad). These lists at different points in my life kept me alive. These lists help me focus on how I can grow as a person and love on those around me, but although they do so many wonderful things they also are my downfall. The downside to my lists is the sheer fact that it makes me “feel in control”. I strive for control constantly, and although I know that has been a part of my personality since I was young it was multiplied after I was sexually assaulted. The need and obsession of control is not only negative to me, but also goes against what God wants from me. Although He may have instilled the “list-making” in me, it wasn’t to a point where I can’t see the beauty in the now and I can’t see the person who needs love right in front of me. It is totally awesome that I have list of how I can show love to the people around me, but if I obsess I lose sight of what God requires me to do. He wants me to be faithful in what I do, but that also means being still and letting God have the reins. Some of the most beautiful moments in my life were my spontaneous moments, the unplanned. This past summer I spontaneously decided to go to Germany/Italy, but I had lists of what to see and what to do. Thankfully I kept them short, because I wanted to just experience life. 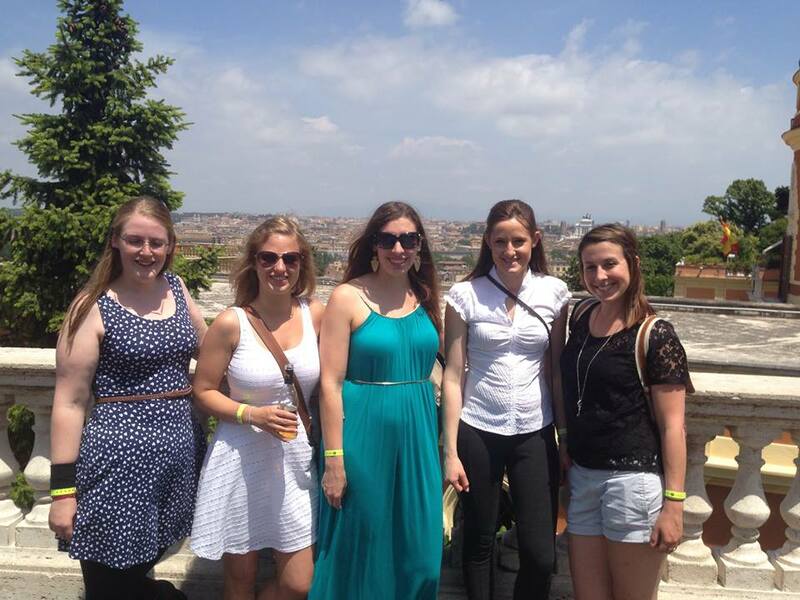 When I got to Rome I had an option to do my list or spend time with some new friends. If I chose the friends I may not see all the things I wanted to see, but I realized that the important part of life is not what I see necessarily, but who I’m with and the relationships I build. Although I didn’t see all the things I wanted to see I met amazing people, people who I could connect with on a deeper level. I’m so grateful I made that decision and it wasn’t the easy one, because I can be very comfortable on my own, but stepping outside of my need for control I was able to experience so much more. The moments and experiences where you know God had those people placed for a specific reason. Those moments are hard to see when you have a planner or list glued to your face! Learning to understand my “list making obsession” will hopefully help me grow and find a healthy balance. I know the lists and goals have been extremely positive for me, but I need to just learn to roll with it some days. To learn to quiet the chatter in my brain and let God guide my footsteps and what goals He wants to me to focus on. Achieving this balance will take some work…..I was just making about 3 lists before this blog! So in some way I need my check in a box for the quiet and stillness with my Savior! (which seems to contravene this post) but I can’t really go wrong in spending time in God. I will get there one step at a time.